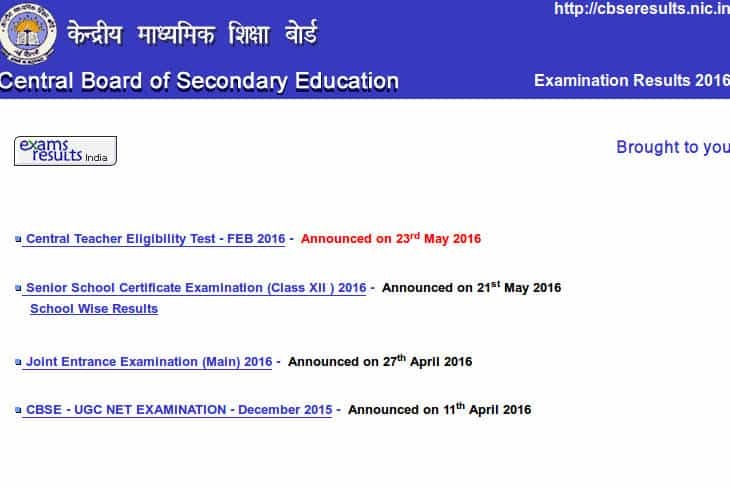 CBSE 10th Result 2016 are announced on the official website of CBSE. 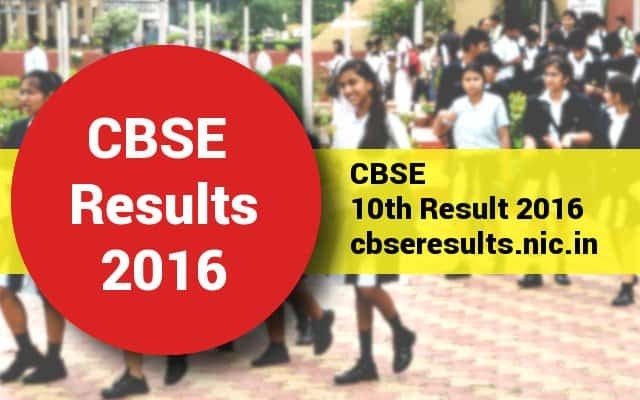 CBSE Students can check their 10th class Board exam results on cbseresults.nic.in and cbse.nic.in. The results are announced on the websites of NIC (National Informatics Centre). CBSE schools will automatically get their results on emails registered with CBSE. The results are also available through IVRS. (a) National Informatics Centre: 011 – 24300699 or (b) MTNL: 011 -28127030. Select the option of Result that you have appeared / want to see. a new page will be opened with that link. Enter your Roll Number & DOB (for Class X results). Click on “Submit” option and your result is on your screen. You may download / save / take printout of that result for future need. Make a PDF from your page and save on your email address for future references. According to CBSE, of the total 14,99,122 registered students for Class 10th examination, 8,92,685 are boys and 6,06,437 are girls. There were 2,860 differently-abled students who registered this year. Depending on their abilities, the education board made special provisions to facilitate their appearance in the examination. In all a total of 10,65,179 candidates had registered for the exam this year, a 2.38 percent increase over the number of candidates that appeared last year. The Board also release list of candidates from schools with respect to regular candidates and application forms from private candidates for compartment/6th subject for Class XII and Improvement of Performance (Class X) examination to be held in July 2016 will be accepted online. The online application and detailed instructions regarding this will be available on CBSE's official website from 10th june 2016. After CBSE 10th class examination students regularly seek admission to CBSE 12th class courses or on other 12th class coursed run by state education departments.